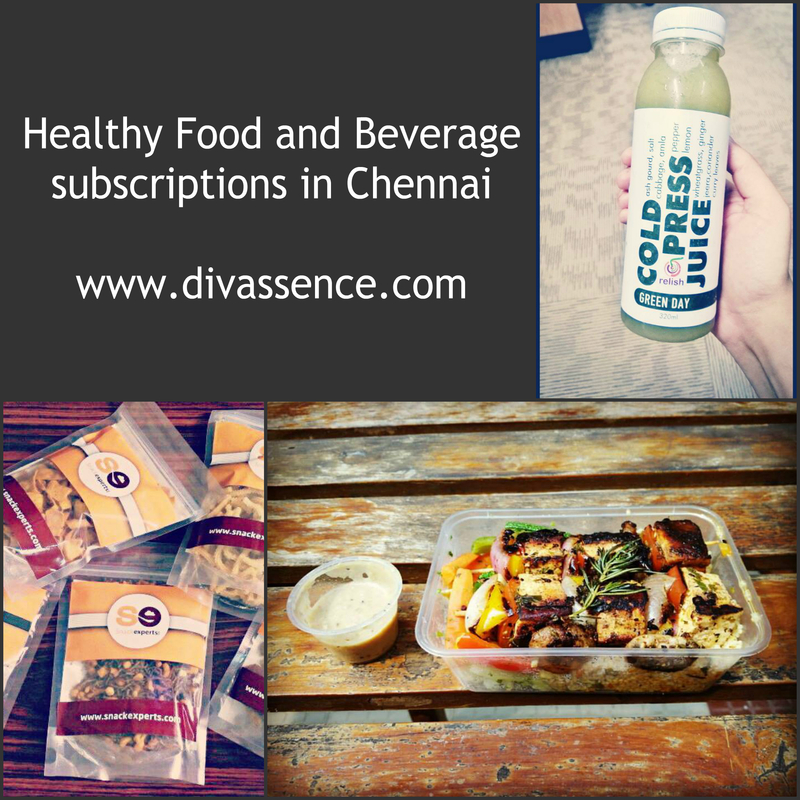 Healthy Food and Beverage Subscriptions in Chennai - Divassence! While the food scene in namma Chennai is as good as it gets, a lot of entrepreneurs are coming forward to bring healthy food to the masses. Cold pressed juices, healthy baked snacks, low-cal lunch options and plenty more. I’ve tried three different healthy food and beverage subscriptions in Chennai I had to pay upfront for two of these and for the Snackexperts snack box I chose COD and food/beverage was delivered to my doorstep. Let’s see how those fared in my books. 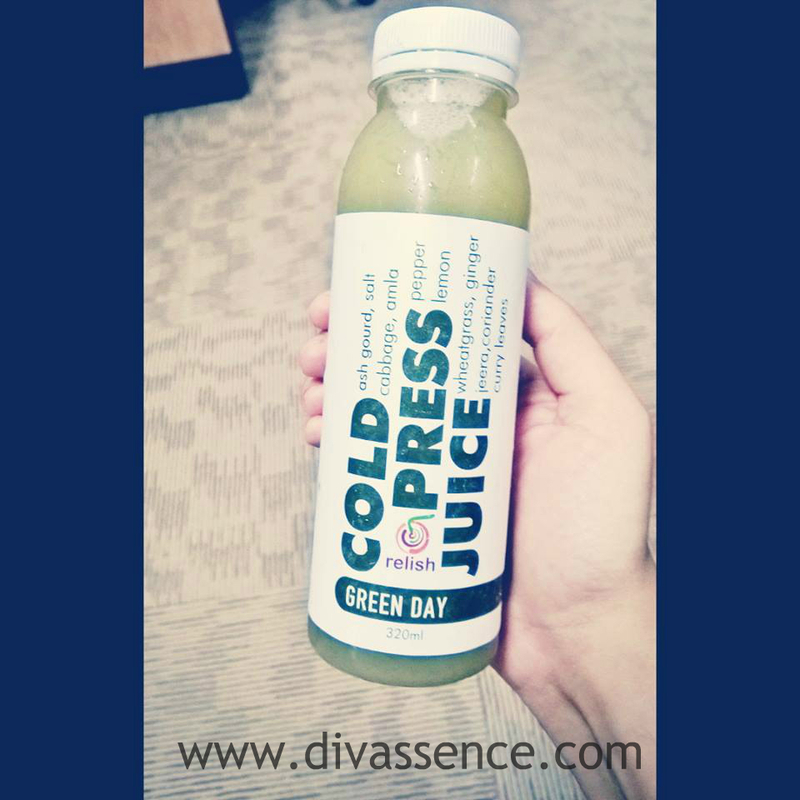 I was on a hunt for cold pressed juices in Chennai and that’s when I came across Relish. Relish has quite a few delicious options to choose from. They have smoothies, flavored almond milk, green juices and much more. I had placed an order for 12 drinks of my choice when there was a 50% off. I paid 775 INR for 12 drinks (Original price: 1550 INR). I chose the alternate day delivery option and I had mentioned that I wanted it delivered between 7 to 8 am. I was amazed at how fresh the juices and almond milk tasted! 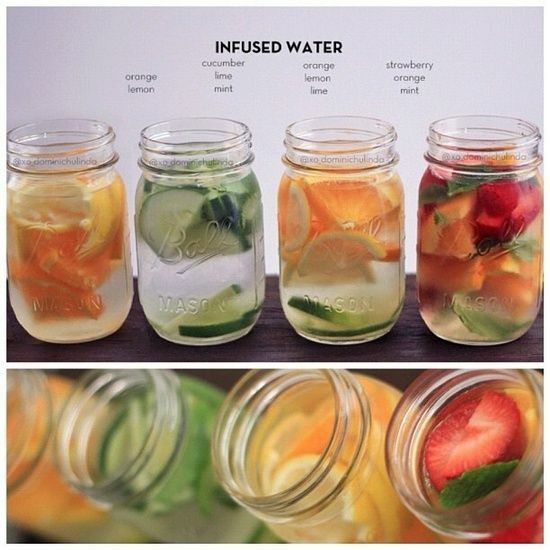 Although the price/juice is quite expensive, it is so worth it! After all health is wealth right? You could choose from different plans that suit your need. A new foray into the healthy food industry, A Salad Company caters to the busy office-goers who do not have time to cook and pack a healthy meal for lunch. These lunch options are an interesting take on salads that aren’t only healthy but tasty as well. Each day has a fixed menu as listed on the site so you could plan ahead and decide if you would like to try it out or not. I had the opportunity of trying a lunch option on January 5th 2016. 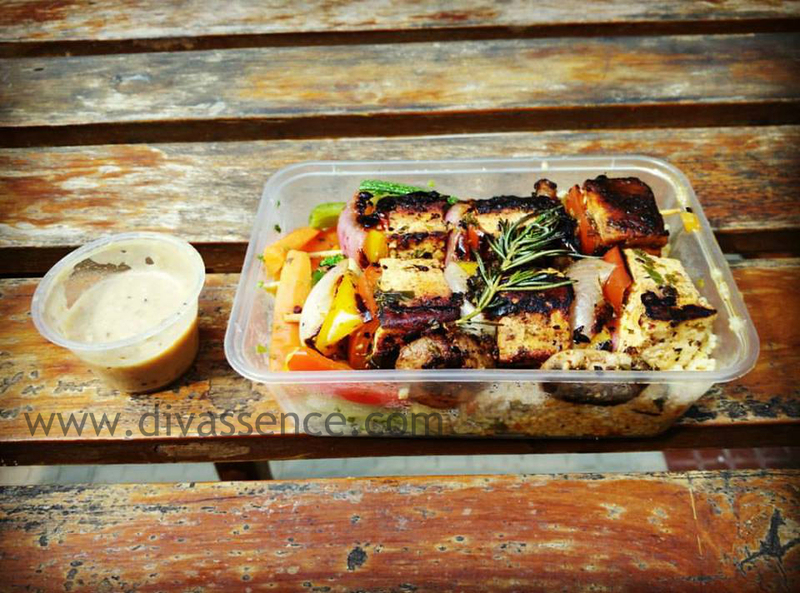 The lunch option on that day was Paneer skewers with herb millet, buttered vegetables and brown gravy. Each lunch option is priced at 140 INR and these are delivered to you at your office, hot and fresh. I personally loved the herb millet, buttered vegetables and brown gravy. It was filling and I did not feel hungry for quite sometime and it did not make me feel sluggish either. No cons. A Salad Company is a new entrant in the food industry but the ideas, delivery method and food quality are top notch. 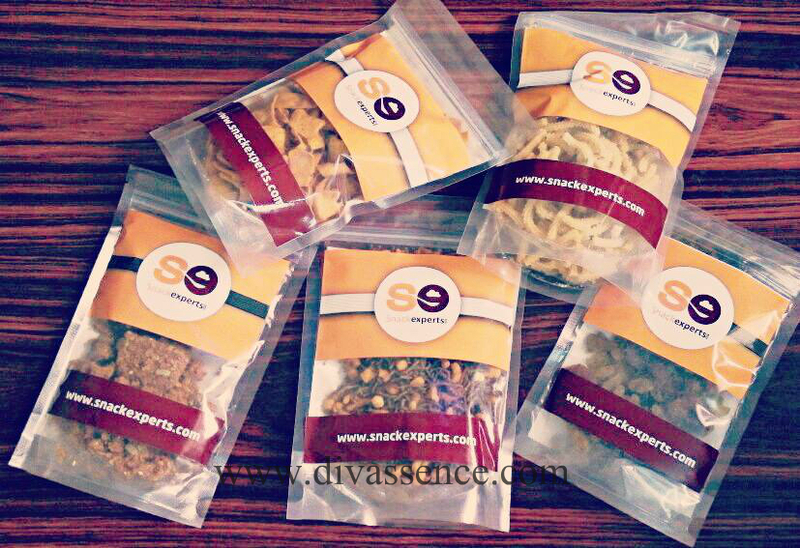 Snackexperts claims to provide healthy snacks in the form of a subscription box. 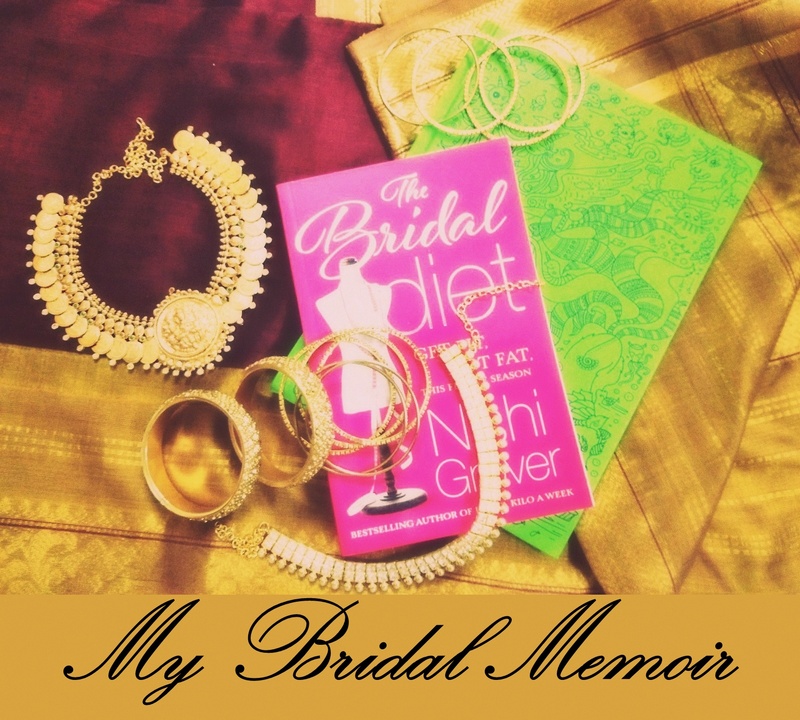 They have 3 subscription plans and the prices range from 150 INR to 1799 INR. I had placed an order for the Standard box which is a one month subscription plan. I paid 699 INR for 5 snacks of 150g each. Honestly, I was initially excited to try this one out since it offered flapjacks, seed mix and healthy takes on traditional Indian snacks. This box turned out to be very disappointing. I have no positives to list out for this subscription box so here are the negatives. The snacks had the smell and aftertaste of old oil. I opened a few of the savoury snack packets that were part of my monthly box and there was a strong smell of old, overused oil. That was just the beginning. The flapjacks were squished in the packet, mushy and the ingredients were all over the place instead of staying together as a flapjack. It was more like a soggy granola. Now, if the snacks are fried, how are they healthy? I am so sure they were fried due to the greasiness and the smell! Just because ragi is substituted in place of maida does not make it healthy! Deep fried is not healthy! The snacks weren’t tasty either. I had a few of my friends and family members try these out as well and none of them liked it and they had the same complaints. The mistake I made was registering for this. The people at Snackexperts bombard my inbox with promotion mailers! Have you tried the food or beverage subscriptions available in your city? 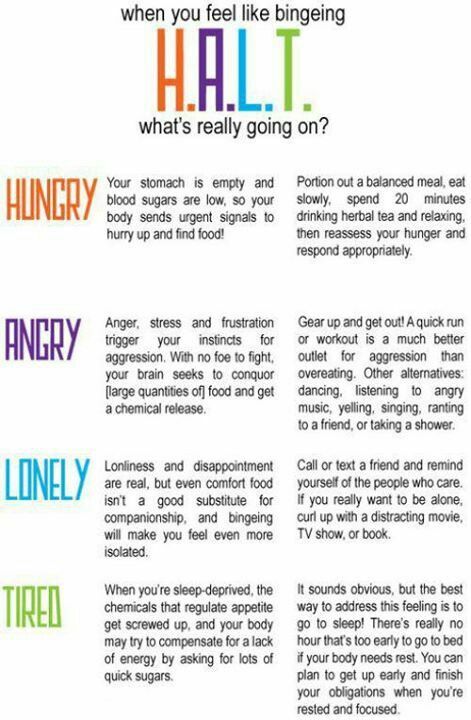 Do let me know which ones you love! Great post! Stumbled on your post while looking for Cold Press juices. Got hooked to Raw Pressery but just thought will explore options. Seems Relish will fit the bill. Relish is different only in terms of the choices they offer and probably the price (not sure about this though). Otherwise they are pretty much the same.